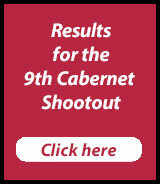 At the completion of our Cabernet Shootout finals, we found many spectacular Cabernet Sauvignons, Cabernet Francs, and Cabernet Blends. The comments and scores by our judging panel have been postedÂ at Affairs of the Vine and can be reviewed by gender. Men here and Women here. I believe we have one of the best judging panels anywhere. Anyone can say that. We put our panel to the test. There has been much discussion about the validity of professional wine judging panels. We select a diverse panel of judges and utilize a complex process to get the best possible results. As the final part of the formula, we took 34 of the top ratedÂ wines to Chicago to challenge the palates of our panel of judges. The Chicago Wine Club invited Cabernet Lovers to tasteÂ the wines blind and test the findings of the panel.Â Â A daunting task.Â But members of the Chicago Wine Club were up to the task. 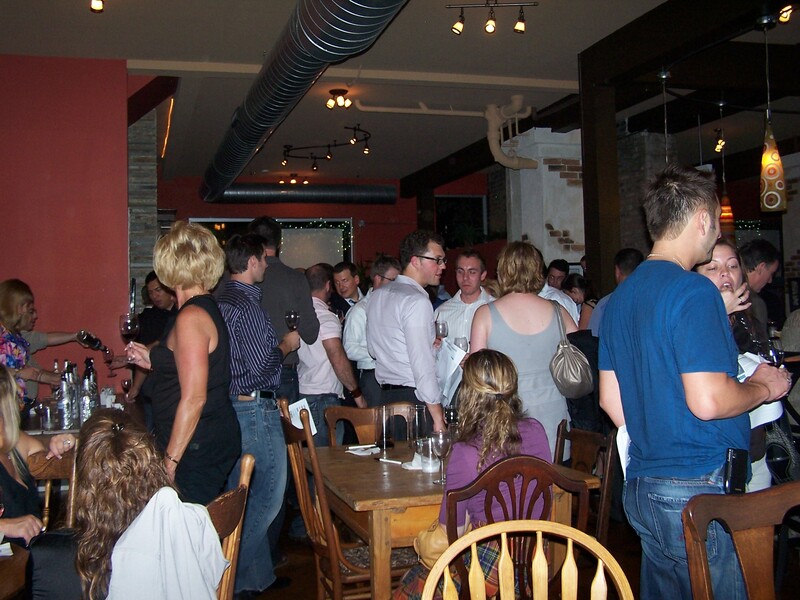 On September 29th, 130 luckyÂ Cabernet Lovers gathered at the Blue Star Wine Bar to participate in a blind tasting of the award winning wines. 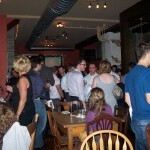 A great time was had by all.Â They indulged their passion for great Cabernets and fabulous food. They pitted their palates against the expert panelâ€™s findings as they tasted through the 34 wines. Votes were cast by placingÂ stones in a box in front of each wine. The men and women had different colored stones. 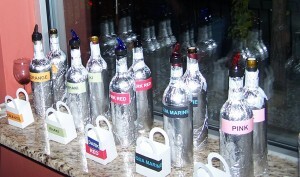 Each of the wines received some votes from members of the group. All of the wines were enjoyed. The only complaint we heard was that there wasn’t enough time to enjoy and evaluate the wines. Please note that all of these wines are winners.Â All receivedÂ Â (4 hearts) and scores of 90 or above by our Expert Panel. Listed below are 34 of the top wines as tasted and ranked by the Expert Panel on August 14, 2010Â . The Wine Lovers in Chicago voted for their top 3 wines in order of preference after tasting them blind. As in the case of the judging panel, the men and women votes were tallied separately. TheÂ Female CabernetÂ Lovers top choice was the McGrail Vineyards 2007 Reserve McGrail Vineyards Cabernet Sauvignon, Livermore Valley while the Men’s favorite was Martin Ray Winery 2007 Reserve Stags Leap District Cabernet Sauvignon, Napa Valley. Check the table below for a view of the wine tasted and how the male and female judges scored the wines and which were the favs of the Chicago Wine Club wine lovers. We had the pleasure of introducing the Torkscrew to the Chicago Wine Club. It’s a bird, it’s a plane…no! 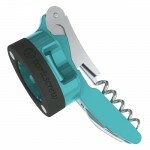 It’s a a screw cap wine opener, corkscrew, and foil cutter all in one. The coolest thing about the Torkscrew is that it is magnetic and sticks to your refrigerator so you’ll always know where it is when it’s time to open a bottle of wine. We opened our the wonderful Cabernet bottles with the Torkscrews and then raffled off 10 of them. If you weren’t lucky enough to win one, you can still purchase one with a great discount. Just select the color you want, put it in your cart, click add a coupon, and enterÂ CAB2010.Â You’ll save 40% off the regular retail price. The coupon expires October 22nd so order now! Don’t feel that you have to like the wines that wine critics praise. Don’t be intimidated! If a movie reviewer gives 5 stars to a film, do you feel that you’re unsophisticated if you don’t like it too? Wine is no different. Personal preference is what counts. So drink and enjoy what you like. At Affairs of the Vine we say, “If you like the way it looks and you like the way it smells and you like the way it tastes…it’s good wine. So use our recommendations as a guide but you are the authority of what provides “Love at First Sip” for you. If you see anything in these results which you think is of interest or noteworthy, we would love to hear from you and we will put as many comments up on our website as possible. And remember, trust your own palate. It’s the only one that matters. 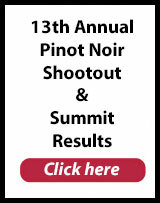 Next post: Pinot Noir Shootout: We’re Engaged!